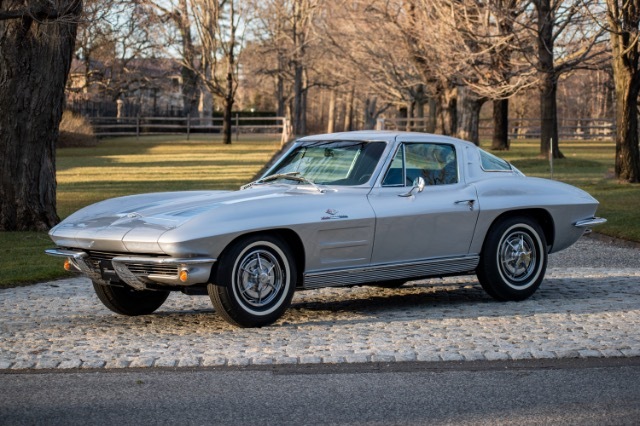 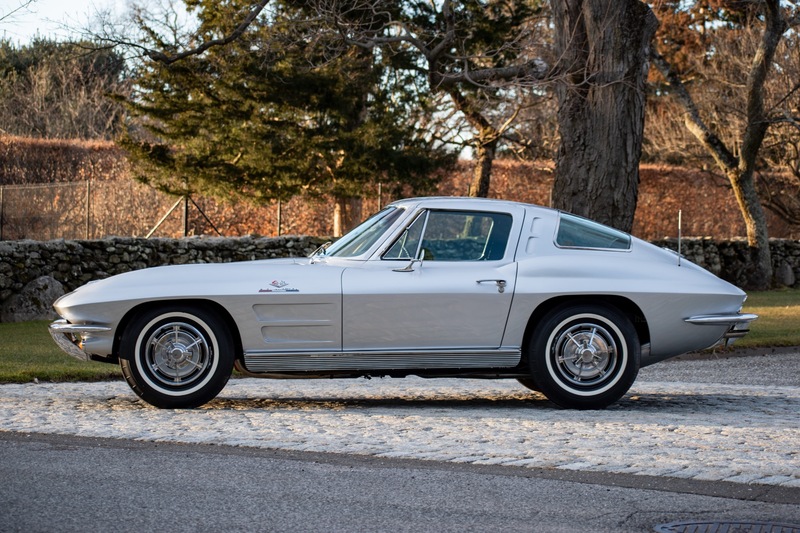 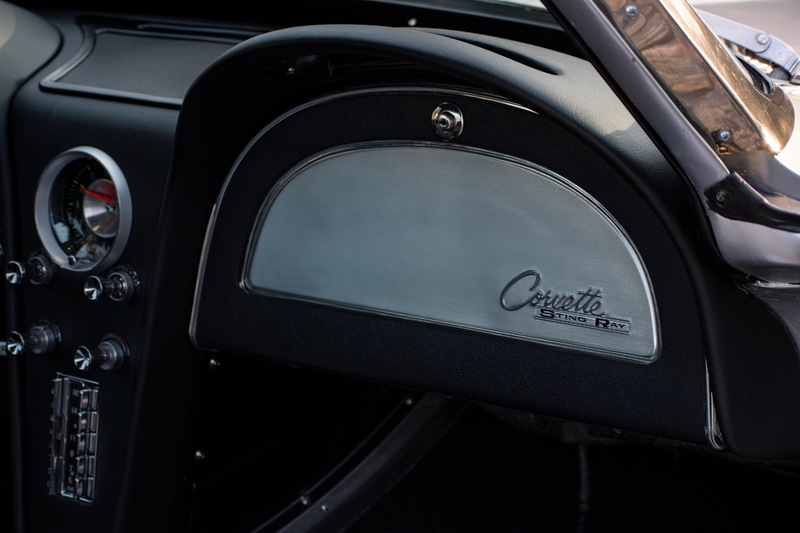 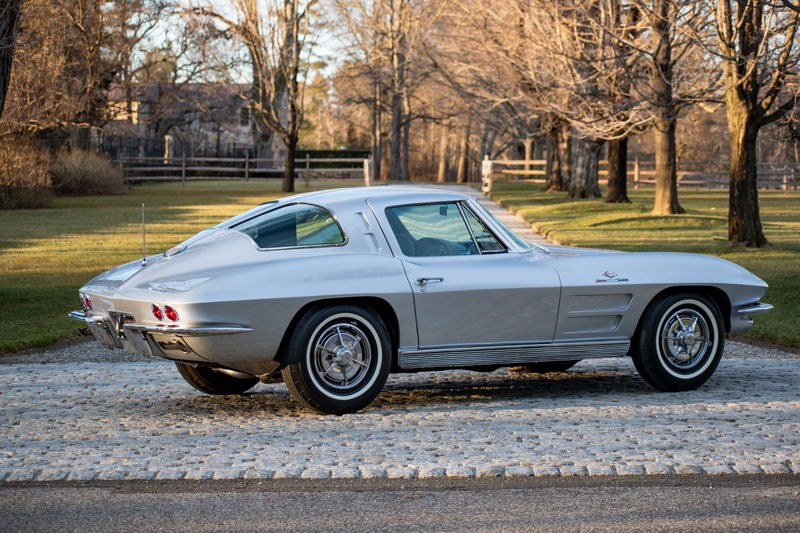 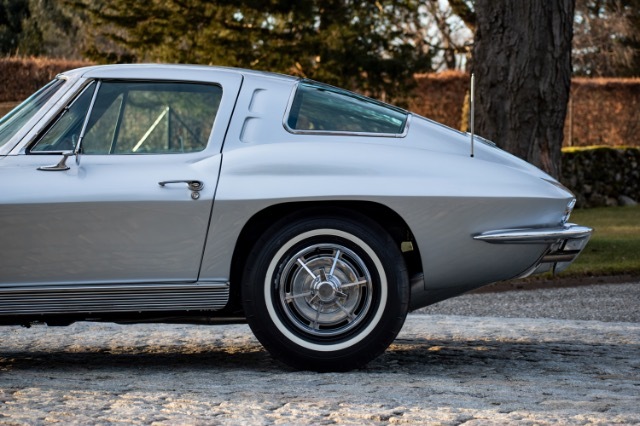 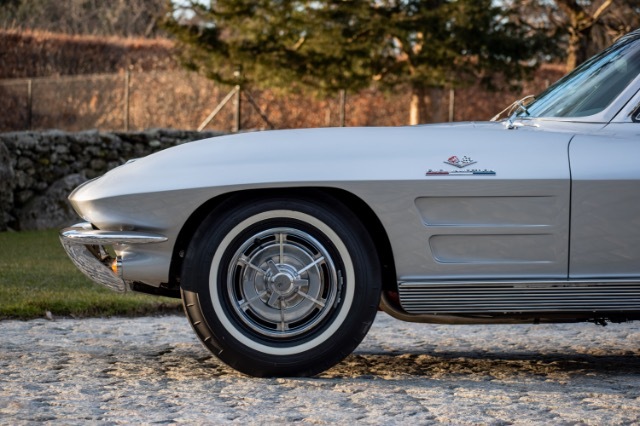 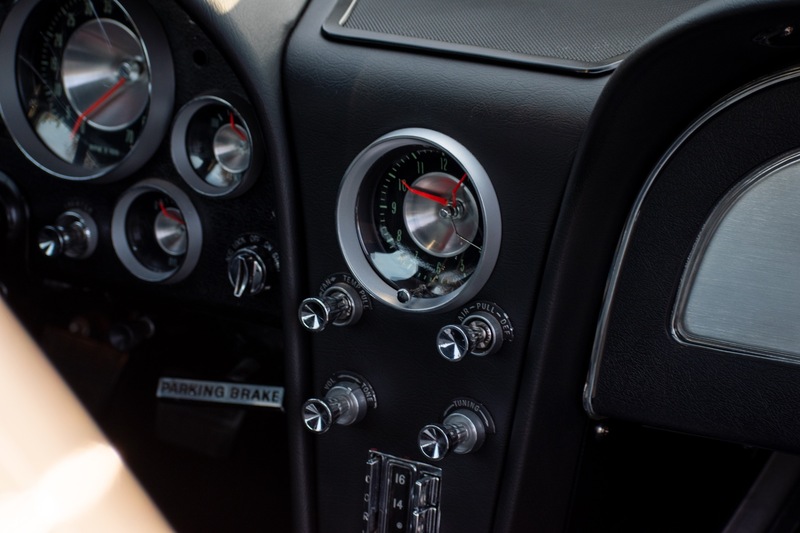 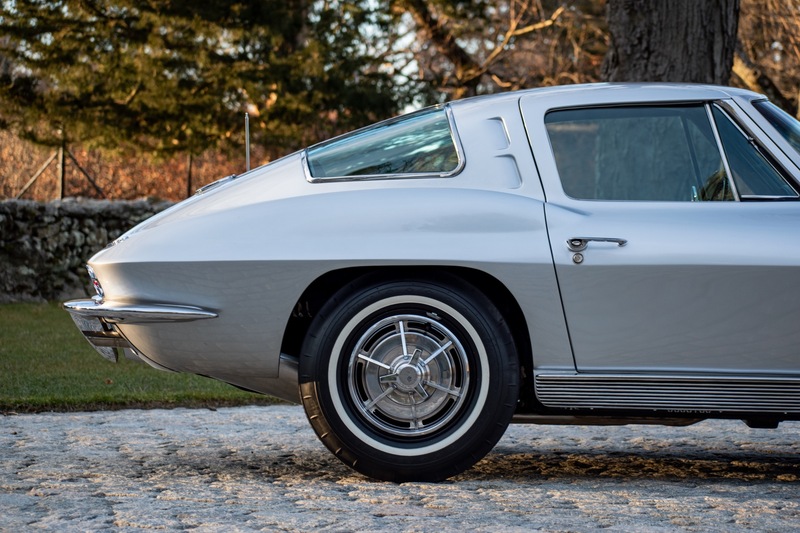 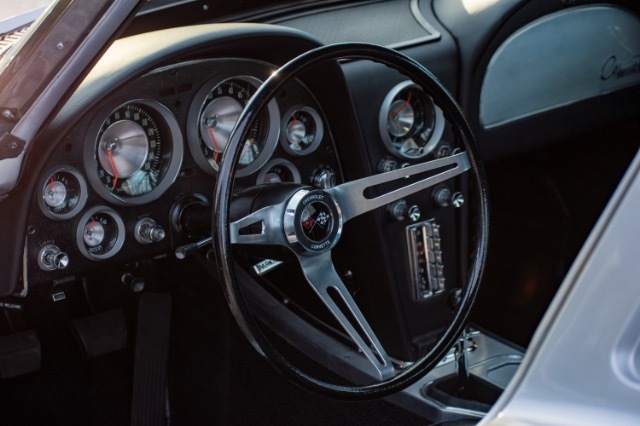 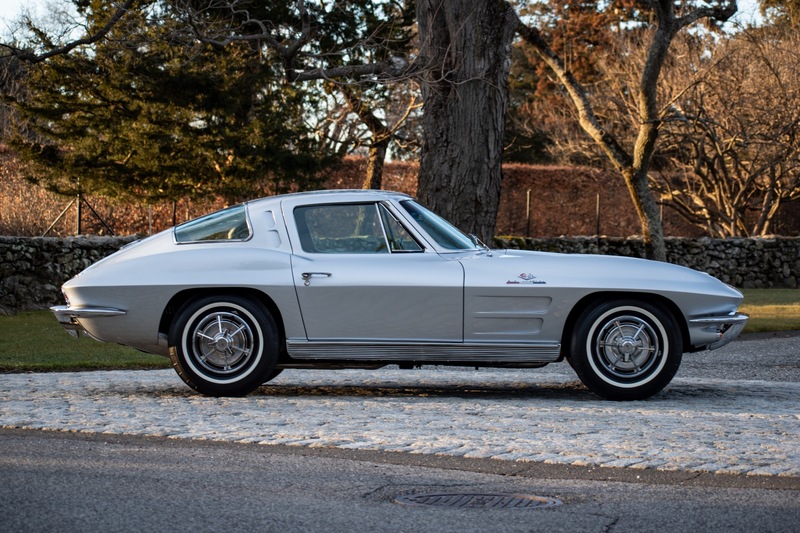 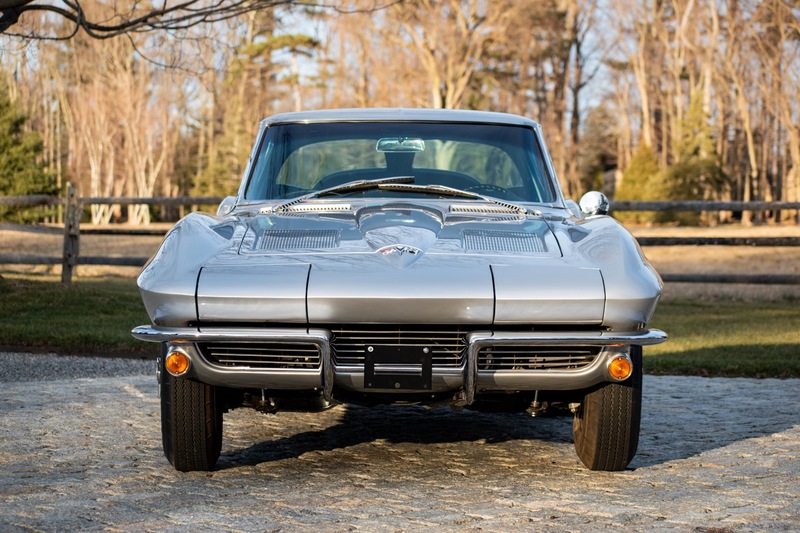 Now available at Carriage House Motor Cars is this iconic 1963 Chevrolet Corvette Split-Window Coupe. 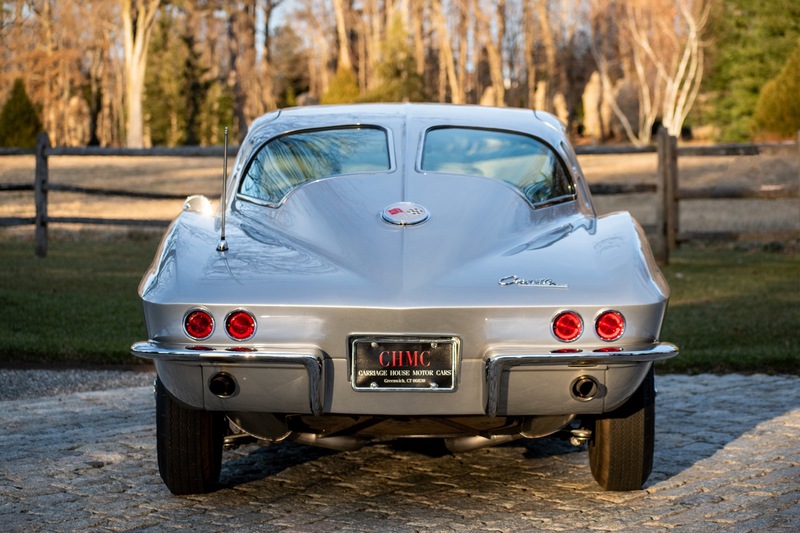 The split window was a one year only style that was later changed due to rear visibility. This example is an early production example built October 25th, 1962 delivered new to Chicago IL. 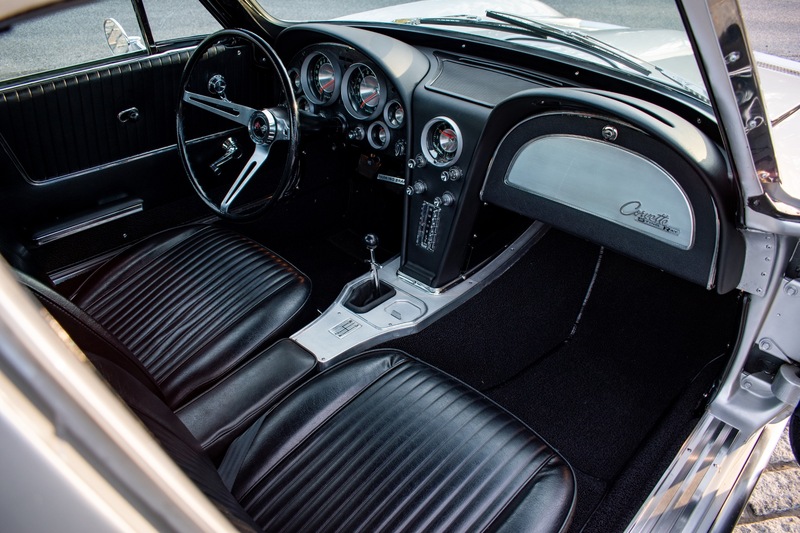 Unique features of this early production build include fiberglass headlight buckets, adjustable seat bottoms and the one year only black faced instrument gauges. 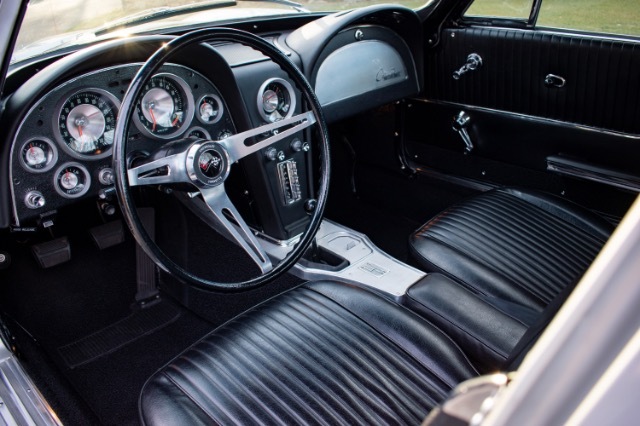 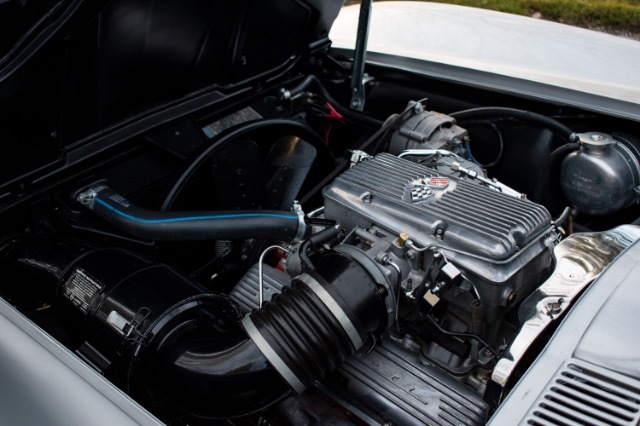 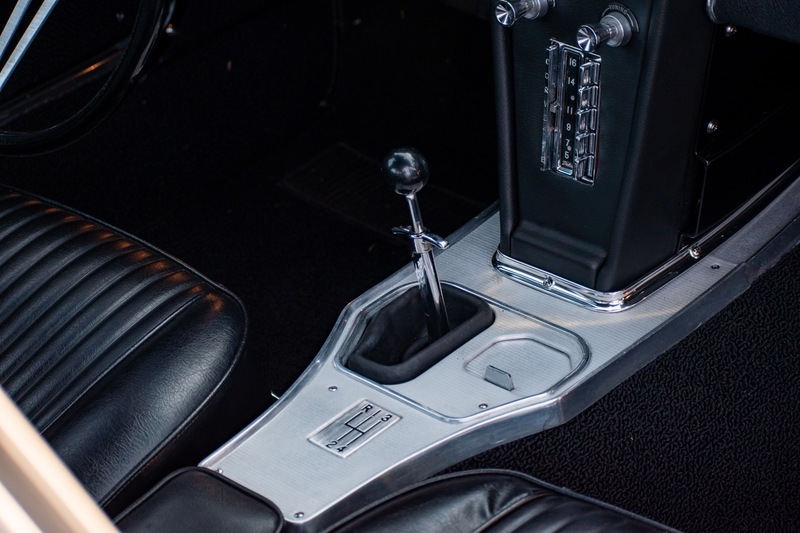 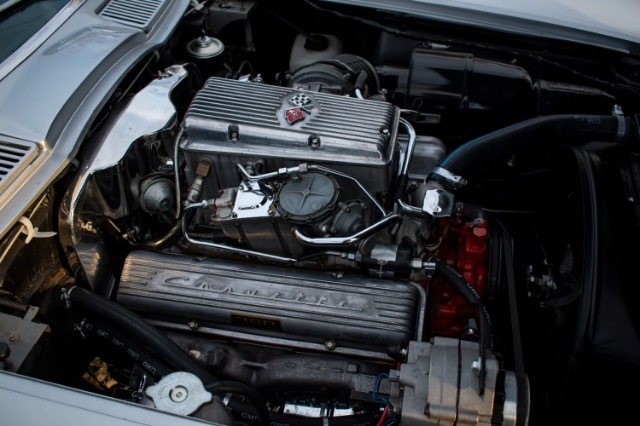 This example was ordered in Sebring Silver with Black Interior with the highest available engine, the 327/360HP Fuelie mated to the 4-speed manual transmission. 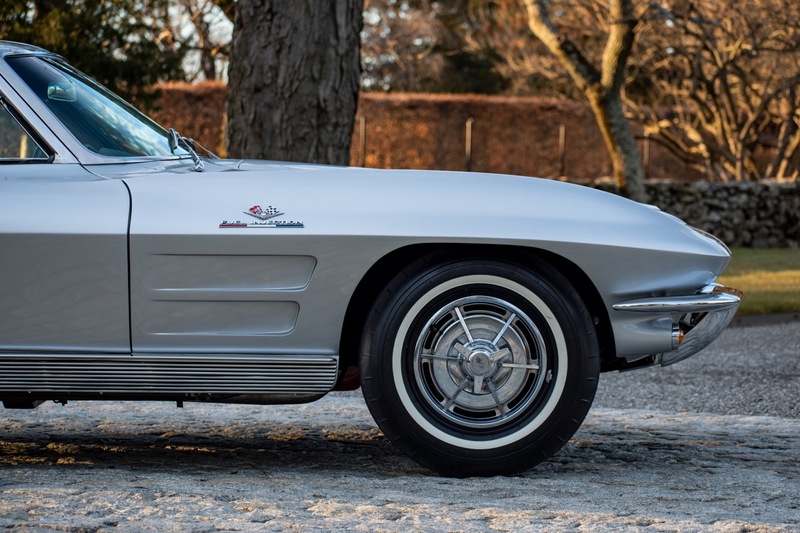 This example is in stunning condition and was restored to a high standard and has recently received a mechanical refresh. 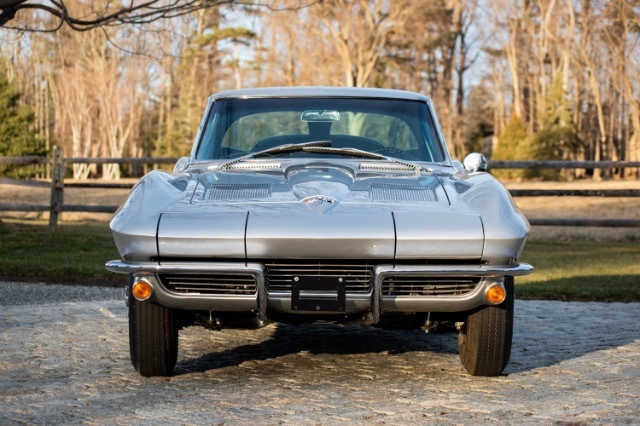 This is a stunning example of a rare and highly collectable American Icon.